I have been collecting bits for this for a while now. But its basically finished. The tanks rated to 220psi, I wont be running it that high. The fridge compressor is slow to fill, but manageable (approx 10 mins to 100psi, maybe a bit longer). I have another one in the shed I may hook up if it annoys me but for the time being its fine. 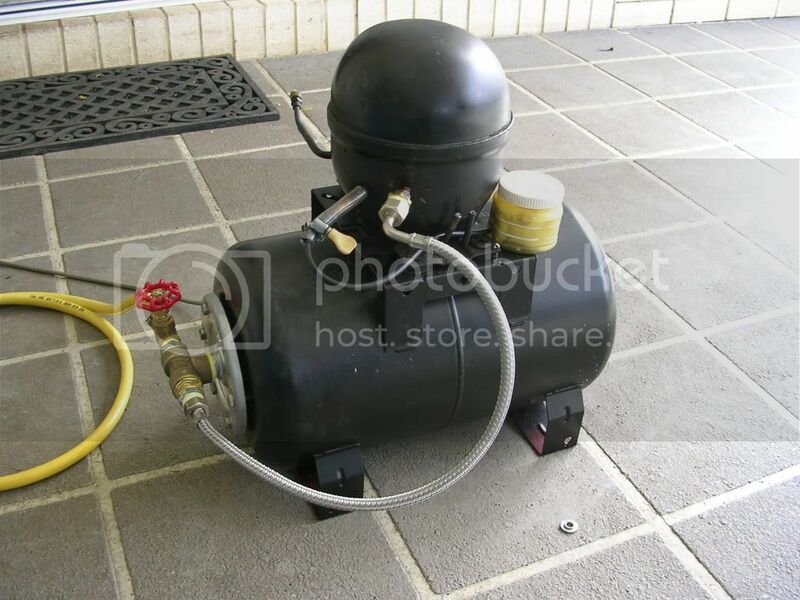 I still want to add a 3 way ball valve just after the compressor so I can both bleed the tank and hook it directly to a high pressure gun to fill. 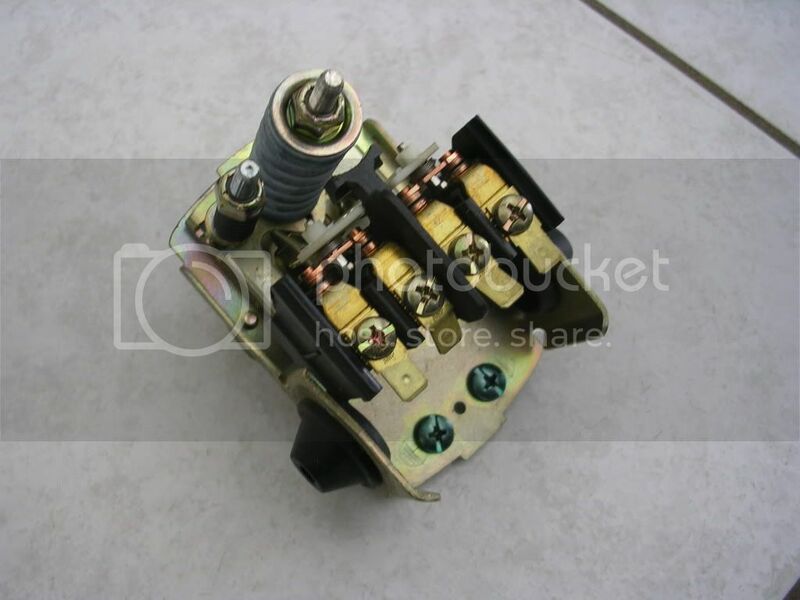 I have an electronic pressure switch I just need to work out how to wire up, but im not sure if I will bother with it. I think I will simply add a 150psi or so pop off valve, so once it reaches the desired pressure it simply starts to vent, rather than turn off. Very nice looks good.I was going to put my one to a 400psi tank. Do you think 2 inch steel can take 500psi ? where did you get the electronic pressure switch? it would be nice to put it on. 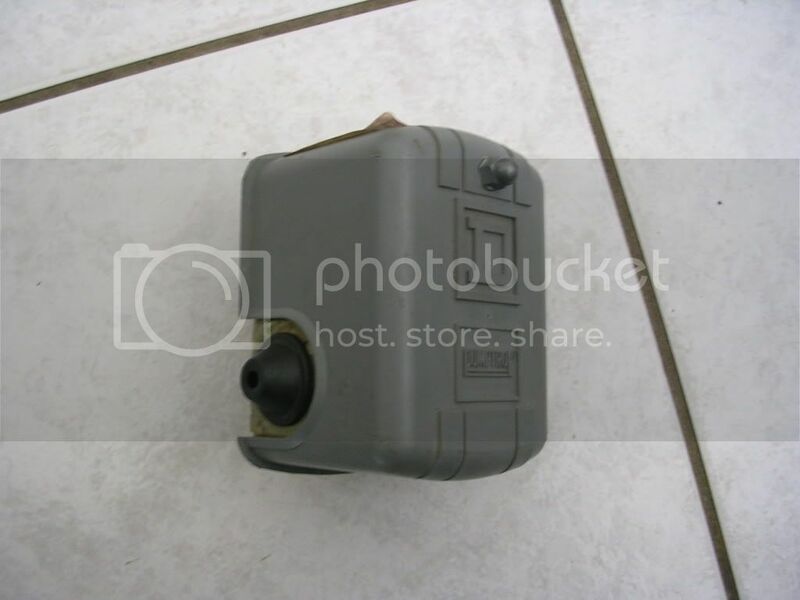 But yeh a high pressure tank would be the best, however finding a high pressure cut off switch and stuff is hard to find. That looks sweet! Nice build. Doesn't the compressor get very hot after a while? Is that yellow hose pressure rated? jmadden91 wrote: I have an electronic pressure switch I just need to work out how to wire up, but im not sure if I will bother with it. 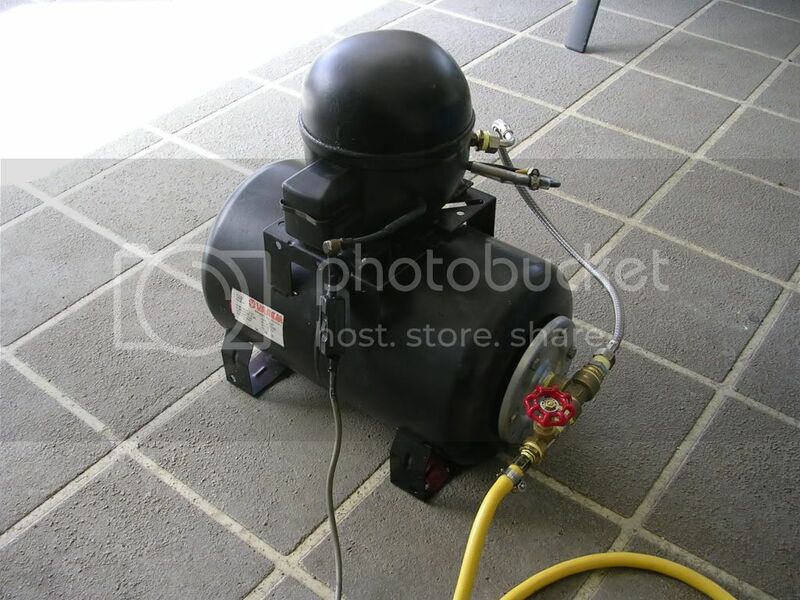 I think I will simply add a 150psi or so pop off valve, so once it reaches the desired pressure it simply starts to vent, rather than turn off. Now that sounds like an idea, do you have an example mate? jmadden91 wrote: Now that sounds like an idea, do you have an example mate? does you pressure switch have an inbuilt vent valve ?? 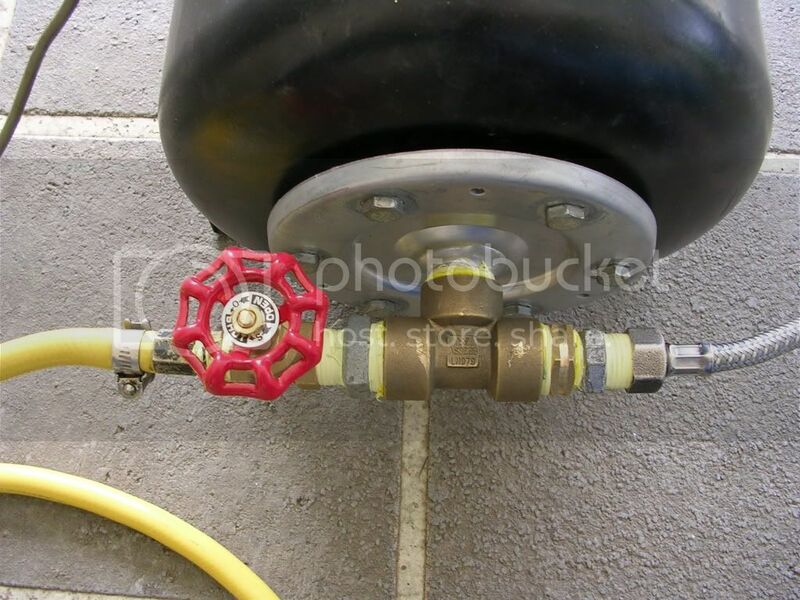 you don't need a 3 way valve... you just have to connect everything in a different way..
oh and Im not sure if it has a vent valve, is there anyway I can tell?